As the cool fall weather approaches, the new Lands’ End women’s Luxe Wool outerwear line are a great way to add a pop of color to your closet or compliment your everyday wardrobe. Offered in a variety of styles and colors, these new coats are not only incredibly stylish, but very affordable. In fact, all five coats are priced at $250 or less. The exclusive fabric contains a blend of wool and the perfect touch of cashmere for a soft and refined appearance. Each coat features all the Lands’ End quality that our customers have come to expect. Vera liked reviewing the coats so much, she felt that you would love them just as much! One (1) lucky Lady and the Blog reader will receive ANY coat in the Luxe Wool outerwear line!! what gorgeous jackets! Love the colors! love the swing car coat in burnt orange! gorgeous! Women’s Luxe Wool Scoopneck coat because the neckline is elegant and modern. I love a long camel coat…so versatile. I love the Women’s Luxe Wool Insulated Pea Coat because it would go with virtually anything! It looks comfortable and looks great…score! I would love the burgundy luxe wool coat. Such a beautiful color! I would love the luxe wool coat in burgundy. Such a pretty color! I like the Women’s Luxe Wool Scoopneck Coat because of the neckline. I would like the Vermillion color. Thanks for the chance to win! The long double breasted coat in Vicuna would be a timeless classic for anyone any age… these coats are beautiful. and the fact they are wool and cashmere means they must be soft and lightweight! This would be such a gift! strange. my comment isn’t showing up for some reason. I noticed others must be having same prob as there are a couple duplicate entry comments. What I commented was that I love the Lands End coats. I would choose the Double breasted long coat in Vicuna color. It must be so soft as I read that it is a combination of wool and cashmere… hard to pick as this collection has a few awesome coats.. also like the shorter coat in the Atmosphere blue color. Would LOVE to win this coat! My 90 year old Mom really needs a new wool coat. If I win, she will have one. Can you believe our 60’s style living room was done in orange! So, I think she’ll pick that color. I love the Swing Car Coat in Black, its gorgeous and I’ve always wanted a long pea coat! Love the look of the Luxe Women’s Insulated Pea Coat in black. I have always loved Pea Coats in black and to see this insulated coat is a winner for me. Luxe wool coat 5 in black. It is very versatile. I loved the luxe wool swing car coat. Such gorgeous colors. I like Women’s Luxe Wool Pea Coat in Dark Charcoal Heather, they look so warm and comfy! These coats look so comfy. I really love the orange color. This would be wonderful for my daughter’s birthday!! I like the burnt orange one from the first photo. Women’s Luxe Wool Double Breasted Coat looks like it would fit me just fine ! I love the swing car coat in burnt orange, that is my favorite color and I love a coat that covers my legs…it is warmer. I like the Swing Car Coat in Vicuna because I know my wife would love it. I really like the Women’s Luxe Wool Insulated Pea Coat in Vicuna! I like the Women’s Regular Luxe Wool Swing Car Coat in Blackberry. I adore the petite Women’s Regular Luxe Wool Scoopneck Coat in red! Gorgeous! I like the swing car coat in Atmosphere. It looks warm and it’s pretty. Would love a new coat! I like the Women’s Luxe Wool Swing Car Coat in black. This would be great for all of my business trips in the winter. I love the very first coat in the post – that’s what caught my eye right away and made me want to keep looking at the rest! The Luxe Wool Swing Car Coat in burnt orange is gorgeous! Burnt orange is cheerful without being too loud, and the classic style can be worn with everything from jeans to a dress. I like the longer coats because they keep more of your body warm. The new colors are my favorites. They make you look more alive. I love the Women’s Regular Luxe Wool Pea Coat in Dark Charcoal heather…a classic! Women’s Regular Luxe Wool Scoopneck Coat. This coat is a very nice color for fall. I love it for my mom not only because she’s a fan of this coats and i know she would be happy to have this as a gift. The insulated pea coat in vicuna. It looks like the perfect shade of tan! 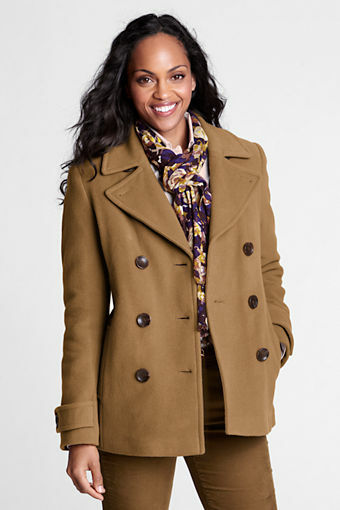 I am dying for a camel colored pea coat for winter. These coats all look amazing! 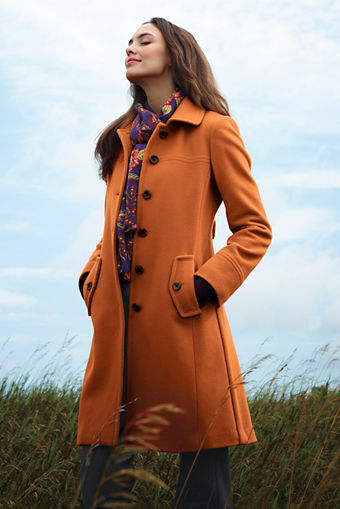 I love the Women’s Luxe Wool Insulated Pea Coat in Vicuna. This is just gorgeous! love these coats – need one bad!!! I tried to leave a comment with the coat I’d love but Idk if it worked so I’m posting it again. 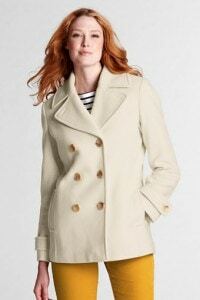 I’d love the Women’s Luxe Wool pea coat inthe color Winter White (size 4). I love the fifth one! I love the swing car coats! I need a long coat so bad! 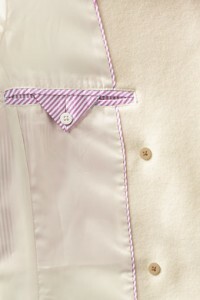 I am loving winter white for the season to go over my jewel tone tops and pants. Coat 6 in winter white is a must have! LOVE the Swing Car Coat. LOVE. I like the Women’s Luxe Wool Double Breasted Coat in Classic Navy because it looks stylish and slimming. I love the Luxe Wool Car Swing Coat in black…or vicuna…or burnt orange. They’re all great! I love the length and that I could wear with jeans or a dress! I like the Women’s Luxe Wool Pea Coat in Garnet. hi great giveaway! I do hope it is open internationally! i love the insulated pea coat in vicuna. These are beautiful. They don’t have my size but I would love to give this to one of my daughters for christmas. I dont have much money for christmas this year so this would help a ton. I love the fuscia color, perfect for holiday parties! Hope to win, I love the longer coat.